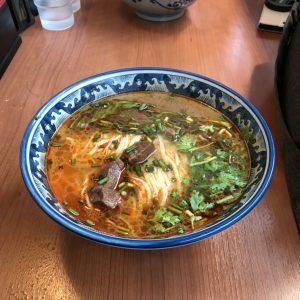 ホーム » Handmade Chinese Halal ramen, let’s go to Kaenzan Lanzhou Lamian! Asian is very popular with noodles. Everyone around the world knows it. 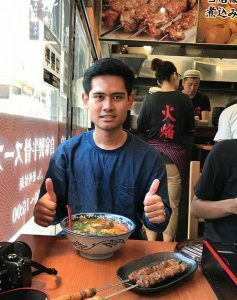 And ramen is one of the food you have to try if you come to Japan. 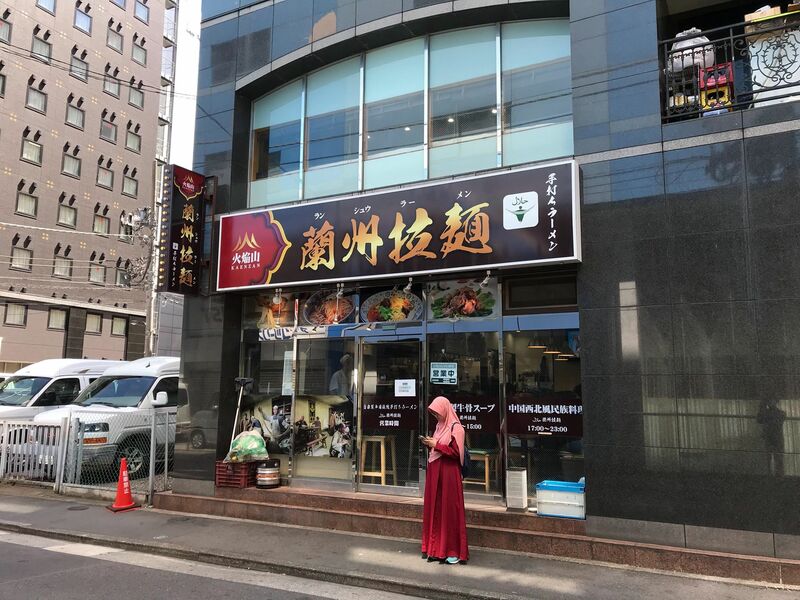 So, here is one of best choice to enjoy halal ramen in Tokyo area. 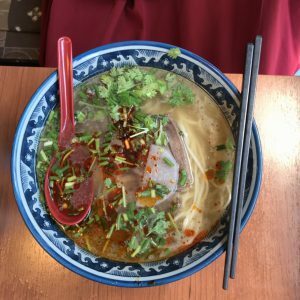 Kaenzan Lanzhou Lamian. This restaurant is open every lunch and dinner time. And be aware that this restaurant has so many visitors, you have to come early to enjoy the ramen or you will be listed as the waiting visitors. The unique things from this restaurant is all the chiefs are using ‘peci’, this shows the islamic culture. besides that, they also made their noodle by hand, so you will taste the authentic noodle. And here it is the one that we are waiting for long, the ramen! it looks so delicious with the beef and spicy broth. Halal beef is very soft to bite and so the noodle. It is a big portion, but you will eat this all because of the deliciousness. trust me! 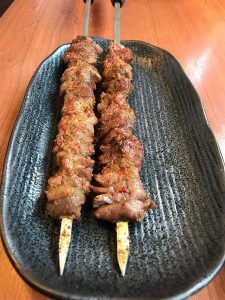 don’t forget to taste the snacks like this lamb kebab for you who are the meat lovers. It is rare to find halal meat anyway.